Situated along the banks of the Ohio River, the Northern Kentucky Convention Center is unique in that it is located in the midst of not one but two major cities. While it is technically located in Covington, Kentucky, the Northern Kentucky Convention Center is also just minutes away from downtown Cincinnati, Ohio. While you’re there, you’ll be able to experience the best that both of these cities have to offer. Since the convention center serves Covington as well as Cincinnati, it only makes sense that it is more accommodating and well-equipped than most other event facilities. At 204,000 total square feet, the Northern Kentucky Convention Center boasts an impressive 110,000 square feet of meeting, exhibition, and social function space. This 110,000 square feet of space is comprised of the expansive Brereton C. Jones Exhibition Center; the building’s main lobby; and the conference level, which features 10 flexible meeting rooms and a 22,800-square-foot ballroom. Whenever your team isn’t competing, they’ll definitely want to be out exploring. A visit to the Northern Kentucky Convention Center is a great opportunity to familiarize your group with all that there is to do and see in Covington as well as its neighbor to the north, Cincinnati. Whether your team enjoys baseball, football, or both, you can all enjoy a one of a kind tour experience just under a 20-minute walk from the Northern Kentucky Convention Center. Tours are offered for both Great American Ball Park, home of the Cincinnati Reds, and Paul Brown Stadium, home of the Cincinnati Bengals. 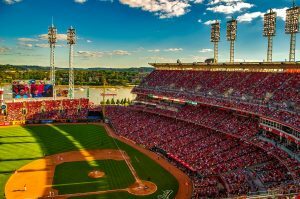 A tour of Great American Ball Park or Paul Brown Stadium will give you and your team a behind-the-scenes look at these world-class sports venues. The baseball fans in your group will want to spend hours gazing at all the memorabilia and more that can be found at the Cincinnati Reds Hall of Fame and Museum. This popular Cincinnati attraction is housed in a 16,000-square-foot facility located adjacent to Great American Ball Park, home field of the Cincinnati Reds. It features two floors of exhibits. Perched on the north bank of the Ohio River, the National Underground Railroad Freedom Center celebrates freedom’s heroes, from the era of the Underground Railroad to contemporary times. The center is dedicated to illuminating the true meaning of freedom through permanent and special exhibits, provocative public programming, and other educational resources. Smale Riverfront Park, located along Cincinnati’s downtown riverfront between Great American Ball Park and Paul Brown Stadium, is the perfect place for you and your team to spend an hour or two outdoors during your stay. If you and your team are looking to kick back and relax after a long day at the Northern Kentucky Convention Center, head to Newport on the Levee. Located just across the river from Cincinnati’s picturesque skyline, Newport on the Levee is one of the area’s most popular places to enjoy world-class shopping, dining, and entertainment. 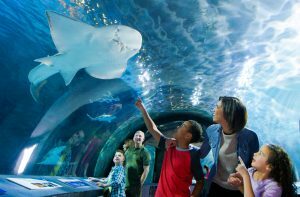 You and your team can embark on a journey through the oceans of the world just over a mile away from the Northern Kentucky Convention Center at the Newport Aquarium. Since opening in 1999, the Newport Aquarium has showcased thousands of animals from all corners of the globe, including a giant Pacific octopus, seahorses, stingrays, alligators, penguins, and more. The Newport Aquarium is also home to the first shark ray breeding program, which began in 2007. You can meet their three shark rays, Sweet Pea, Scooter, and Sunshine, in the Surrounded by Sharks exhibit. A local staple since 1949, Skyline Chili serves up an authentic taste of Cincinnati cuisine. The menu at Skyline Chili features team-friendly fare like salads, burritos, and wraps, but their true claim to fame are their signature coneys and ways. Both are topped with Skyline Chili’s unmistakable chili, which is not chili con carne but rather a sauce that contains a unique spice blend. When it comes to places to dine at with a team, nothing can top a great local sports bar. Smoke Justis is Covington’s newest sports bar and it has quickly become one of the area’s most popular places to hang out while enjoying a delicious meal. Molly Malone’s Irish Pub & Restaurant is an authentic Irish watering hole located at the foot of the John A. Roebling Suspension Bridge just over five minutes away from the Northern Kentucky Convention Center. They are open seven days a week for lunch and dinner, and also serve brunch on Saturday and Sunday. Although it’s a bit of a ways away from the Northern Kentucky Convention Center, Maplewood Kitchen and Bar is a unique eatery that’s certainly worth the mile-long walk. Housed in a welcoming, 150-seat restaurant with expansive windows that offer plenty of natural light, Maplewood serves up West Coast-style cuisine that features local and seasonal ingredients. They offer brunch, lunch, and dinner daily, making a visit to Maplewood easy to fit into your group’s buys schedule. A visit to the Northern Kentucky Convention Center is sure to be one of the most unique travel experiences that you share with your team. Not only will you all get the opportunity to explore the charming city of Covington where the convention center is located, you’ll also be just minutes away from Cincinnati and all of the unique experiences that it has to offer as well. With two cities worth of fun attractions and great restaurants to enjoy, there definitely won’t be a dull moment during your team’s stay in Covington. Choose Your Sport Choose Your SportBaseballBowlingCheer & DanceFencingGolfMarathonMarathonsSoccerSoftballTaekwon-DoTennisTough MudderVolleyball Choose Your State (Optional) Choose Your State What Tournament do you need to stay near? Don't see your SportTournament? Use our City Search instead. 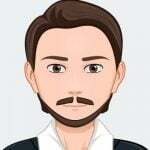 Andrew Farinaccio is the head website content writer at Hotels4Teams. An avid traveler, Andrew has been everywhere from Paris to Los Angeles. His hobbies include making music, cooking, and playing video games. He graduated with a degree in journalism and media studies from Rutgers University in 2017.